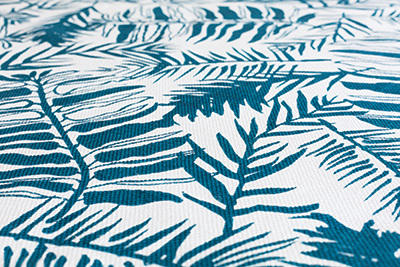 Caroline Cecil Textiles’ beautiful new collection of handprinted fabrics has arrived. This season she looked to the South Pacific for design inspiration. Her new Balinesia line celebrates the rich plant life, historic temples and ancient textiles of the South Pacific in a gorgeous palette of copper peach, natural linen, monsoon navy and teal. Traditional patterns have been reinterpreted - from geometric border prints to delicate dotted stripes that hint at the reptilian, she presents a modern take on the historic icons of the South Pacific. 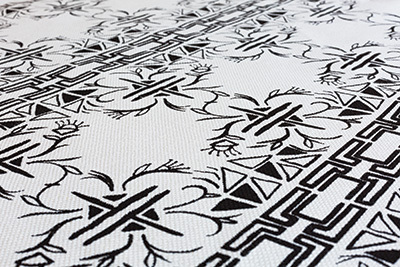 Each design begins as an india ink painting, and is translated onto premium ground cloths with a traditional hand screened printing process. 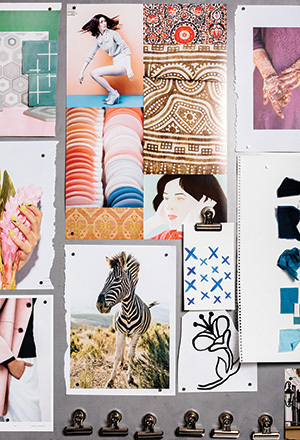 Caroline is passionate about the way in which her fabrics are printed and is proud to offer a line that celebrates the art of the hand-made through and through.